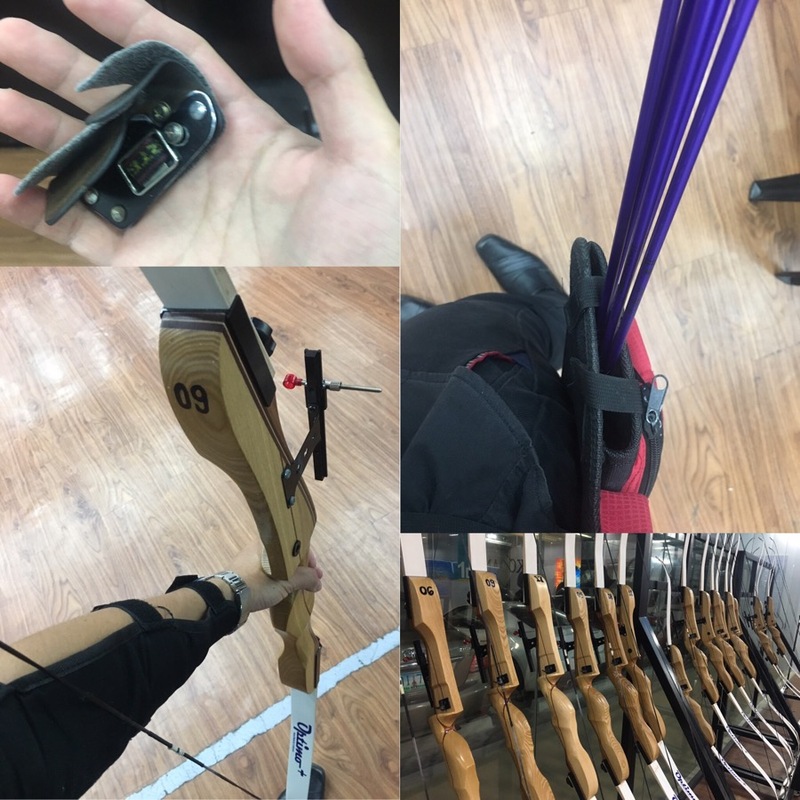 It was a humid Friday night when my colleagues and I went to try Kodanda’s Archery Range for the first time. After a long-day of work, we were set for a new adventure. Not really knowing what might happen. Nonetheless, we were all excited. The venue is located at the ground floor of the MAAX Building beside MOA Arena. A clear convenience to us since our office is just near it. We availed promo on MetroDeal to get big discount. After submitting our vouchers and signing a waiver, the instructors put protective gears on us. An armguard on the left arm to protect it against string’s backlash. Then a fingertab as a protection for the right finger’s repeated pulling of string. A while later the coaches showed us how to assemble and safely string our bows. They also instructed us basic safety and proper shooting techniques. It is required to take this elementary archery lesson before starting the game, specially for beginners like us. My stretched left arm holds the bow tight, making sure I stay focused on my aim. My right fingers are holding the bow string, ready to propel the arrow. Left eye closed while the right one is straightly looking to the target, aiming for the bull’s-eye. Then within a split second, I let loose the string and made the arrow fly. It pierced directly to the target paper. I released a sigh of relief. A big smile was etched on my face once I saw my arrow accurately hit my aim. Four more arrows left on my quiver. I quickly charged my bow with a arrow and aim again. Repeating the process and continually sending arrows until the last one. My friends seemed to also enjoy what they were doing. We compared our hits once in a while. Made fun of those who were clearly out-of-range and then praised those who hit the bull’s-eye. 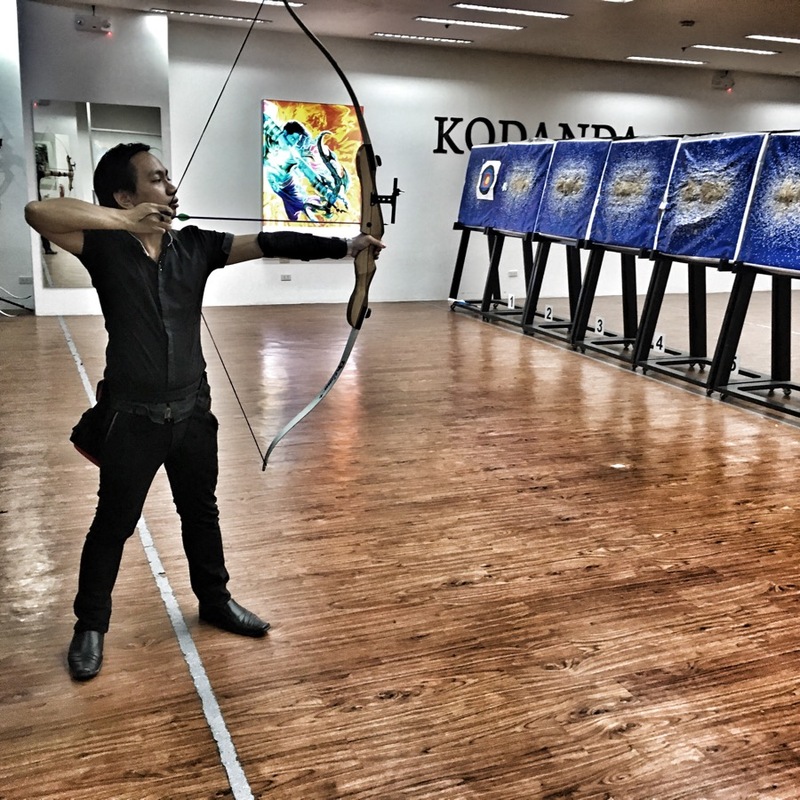 Kodanda’s fully air-conditioned 12-lane indoor range is really a comfortable and convenient location for archery. 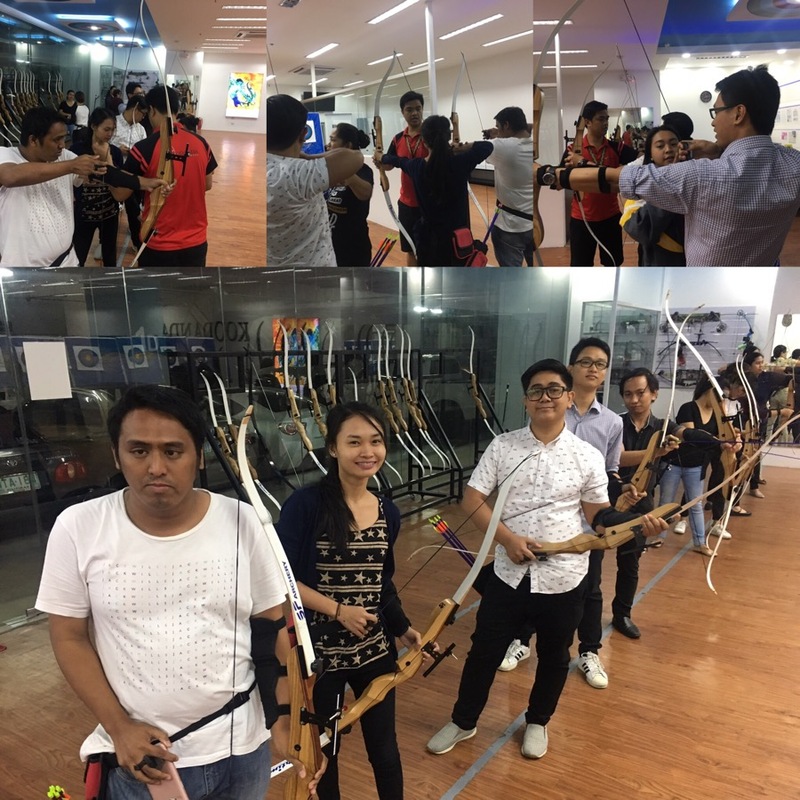 For an affordable price, we were able to experience and learn the art of archery. It is a relaxing, stress-relieving and not-so-demanding game. The rules are just so simple. I would like to try it once again. More so because the venue is just near our office and SM employees also have a discount. We just have to present our ID to avail. Overall, it is enjoyable and I recommend you to try it. 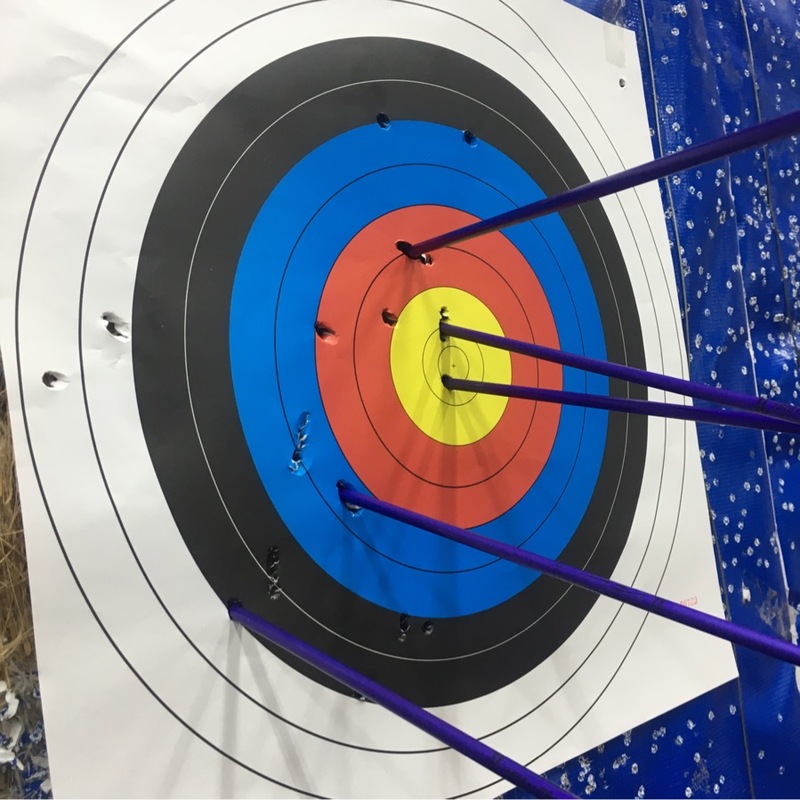 This entry was posted in People & Events and tagged activity, adventure, archery, games, sports. Bookmark the permalink.